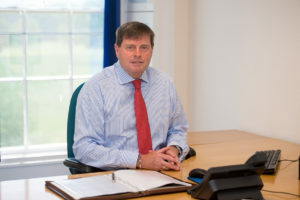 At his Public Accountability Conference held on 26 September 2018, Police and Crime Commissioner Peter McCall received a presentation from ACC Slattery on the policing of this year’s Appleby Horse Fair. This was in response to his request for a formal review of the policing operation specifically focusing on the period in the lead up to the Fair. The Commissioner also asked for the review to include areas where the policing operation had not gone well and to identify how the Force will improve their response for next year and how this will link to Multi -Agency Strategic Co-ordination Group (MASCG). Before handing over to ACC Slattery, Chief Constable Mrs Michelle Skeer said: “Appleby Fair is unlike any other event in the county, this is a community event with no single organiser. “It is a large event for the county, with around 10,000 gypsies and travellers, as well as 30,000 visitors each day over the weekend of the Fair. That is a lot of people coming into the county, particularly coming into the small area of Appleby and sometimes there are added complications because there is no organising body. “In 2008 a partnership group known as Multi Agency Strategic Coordinating Group (MASCG) was set up to coordinate the fair to ensure public safety. “Every year we carry out a debrief for Appleby Fair, as every year there is learning. It is the same for every operation we run in the county so we can ensure we know what went well and where we can make improvements. “Different issues arise each year. However, we have not previously had the same level of angst that we experienced this year. In 2018 we had an unusually high amount of complaints from the community about the transition into the Fair – what we call Phase One. Assistant Chief Constable Andrew Slattery presented the findings of the review at the Cumbria Police and Crime Commissioner’s Public Accountability Conference today. ACC Slattery said: “The Constabulary seeks to learn from every operation it conducts, including Appleby Horse Fair. Following each event we reflect and review what went well and where improvements can be made. This is in addition to the MASCG debrief conducted with the full range of partners involved in managing the impact of the Fair. “I can assure all those people living in communities affected by that the Fair and those attending it that the policing operation will take note of the experiences of 2018, as it does every year, to ensure that we work as effectively as possible with other agencies to keep all communities safe and minimise the effects of crime and disorder wherever they may occur. “Our Officers priority is to ensure the safety of those attending the horse fair and those who live in the local community. Our policing style needs to be proportionate, with Officers challenging behaviour out where it is unacceptable but communicating and building relationships with all communities.